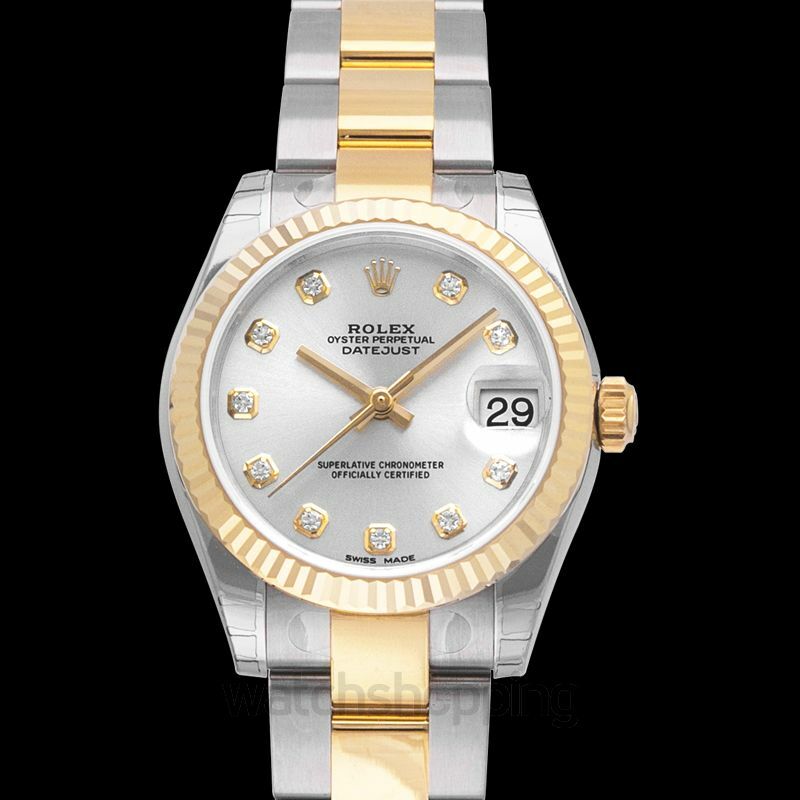 The Datejust series by Rolex is one of the world’s most recognizable watches. 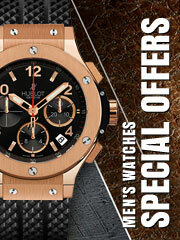 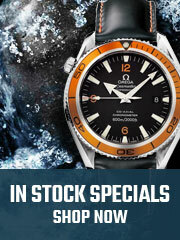 It has a loyal following globally and is loved by every watch enthusiast. 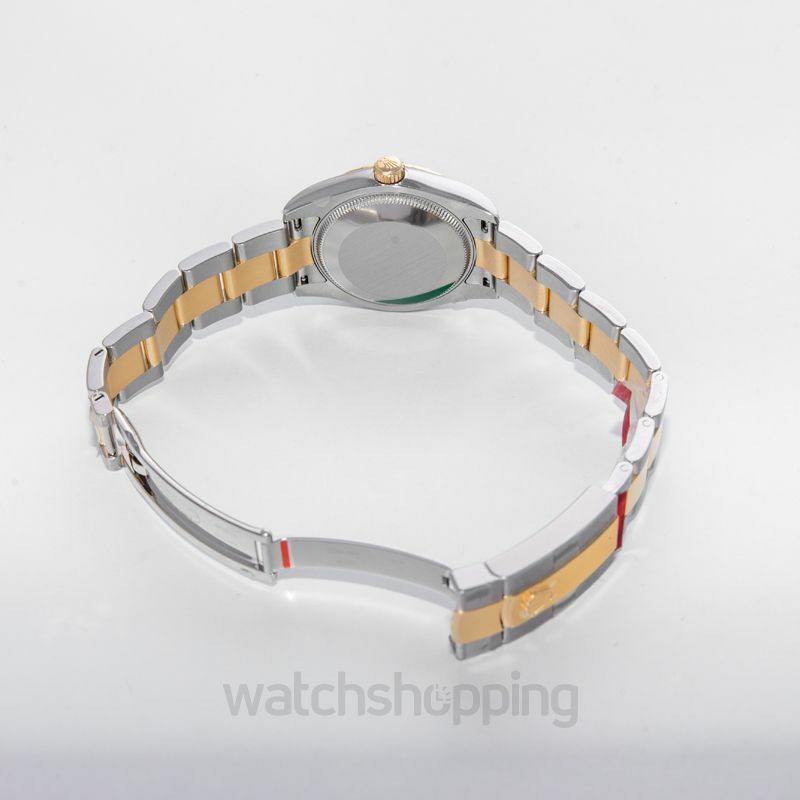 The significant feature of this model is the Cyclops eye magnifying lens over the date window located at the 3’o clock position, which makes the date clearly visible. 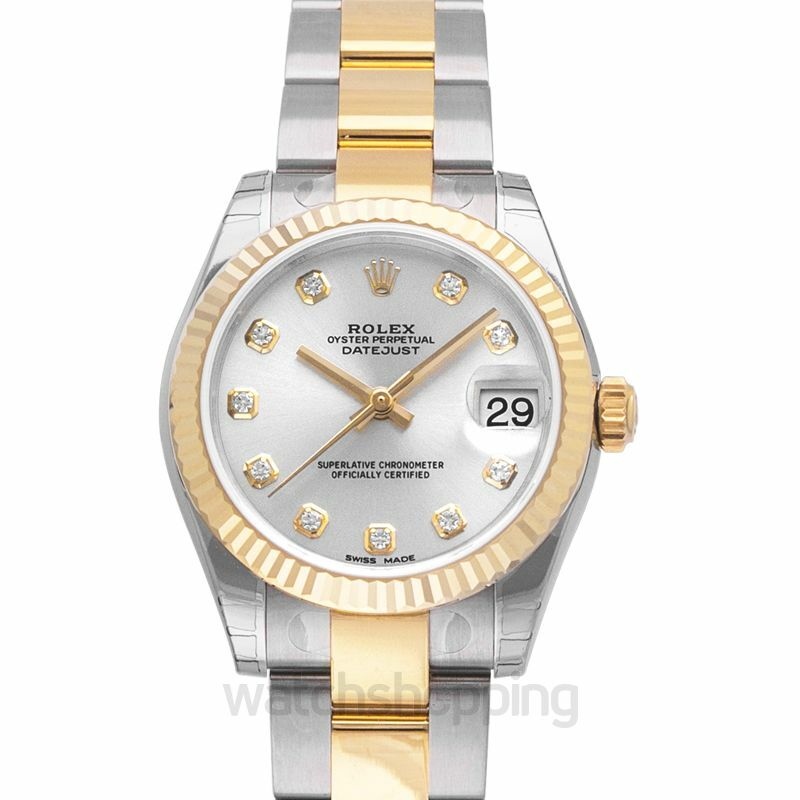 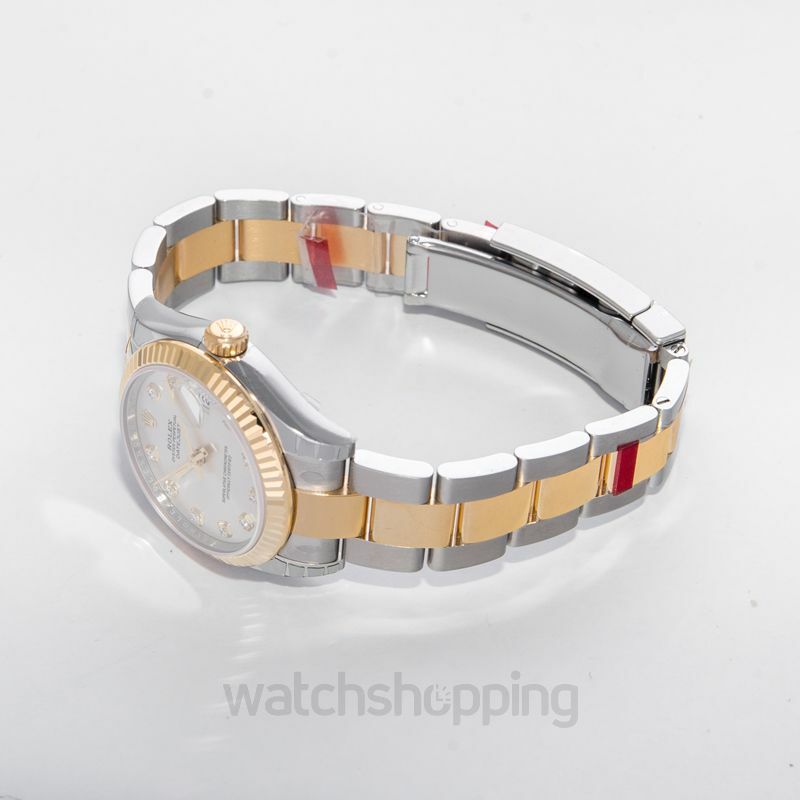 The dial is silver with set diamonds hour markers while the case is made of yellow rolesor with a fluted bezel and a 31 mm diameter presented on a yellow rolesor band.